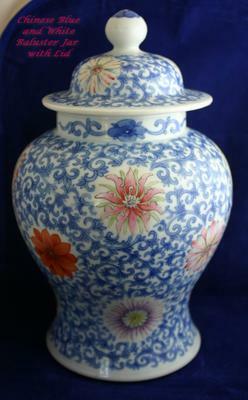 I have a lidded baluster vase with enamel florals done in a Kangxi style but am curious what the overall treatment with the enamel is referred to? The florals are particularly well done and it does show some age. This vase is marked with a double blue circle and I am guessing that it is a later piece, late 19th century, early 20th century. Any assistance in identifying it would be greatly appreciated. Hello.. Well, based on further research I found out from an advanced Chinese collector of Chinese porcelain that this is a 19th Century copy of a Kangxi piece so I was on the right track. 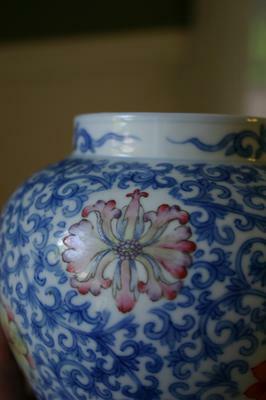 Here is what the Chinese gentleman wrote on the temple jar..
"You are absolutely right that the baluster vase is a late 19C copy of a Kangxi original. There was a revival at the time. This design did exist in the 17C with the colored lotus in doucai, rather than in enamel. 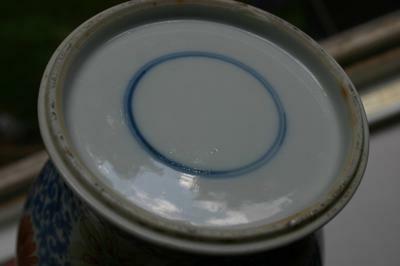 The double circle is commonly found on kangxi porcelain, some times a leaf design. These vases are sometimes referred to as crystal ginger containers." So there we have it.. Thank you Peter for your input and generosity with your time in writing.. I would think this is either first or second quarter of the 20th century. Not quite sure, but the tone of the blue color looks more like Ming, which it cannot be. After that this blue would have been used in the 20th century, as far as I know. 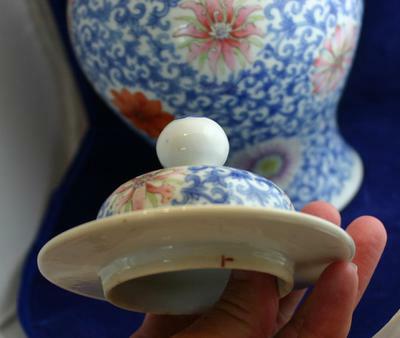 The double ring mark was mostly used late Qing dynasty and early republic, and is for decoration only. 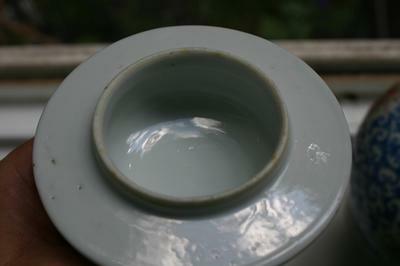 The inside glaze and bottom show some age signs, but I cannot limit to a narrower range. I have never seen this decoration on a late Qing item. All in all a beautiful item. Could you upload additional pictures of the bottom, taken in about the same lighting as the rest? And closer, not from straight above, but from an angle. 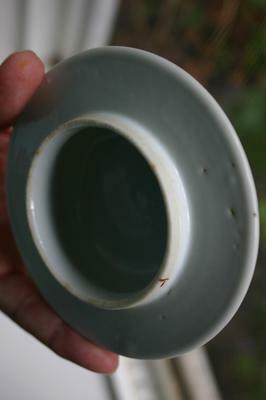 Also a good picture showing the rim and inside of the lid, and one showing the interior just inside the mouth, where the unglazed rim is visible. And perhaps a partial picture showing the area between the four flowers shown in the first pictures, close up. Yellow lighting as in the third picture does not allow to see surface details. Hello Peter.. I finally figured out out to add some photos. Hope this works. 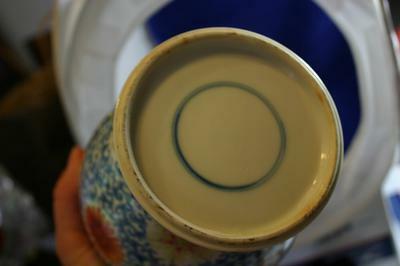 The vase does not have an interior unglazed area.. it is all glazed, but the lid does have an area that is unglazed.. I've taken many more photos. Hopefully enough to discern. Thank you for accepting my submission and I hope to learn more about this piece.. I have several pieces of unmarked Chinese porcelain and pottery so I am trying to learn as I come across the boxes that I've had stored.